Renowned for her delightful children’s stories, Beatrix Potter brought a collection of charming characters to life through the pages of her books. The famous Peter Rabbit and Jemima Puddle-Duck, as well as all the other darling animal characters, have enchanted children over the years…and now they’re jumping out of the tales and into your home. Sipping a steaming cup of tea, and wearing her signature bonnet, the Mrs Tiggy Winkle Money Bank is an adorable addition to your child's bedroom shelf. 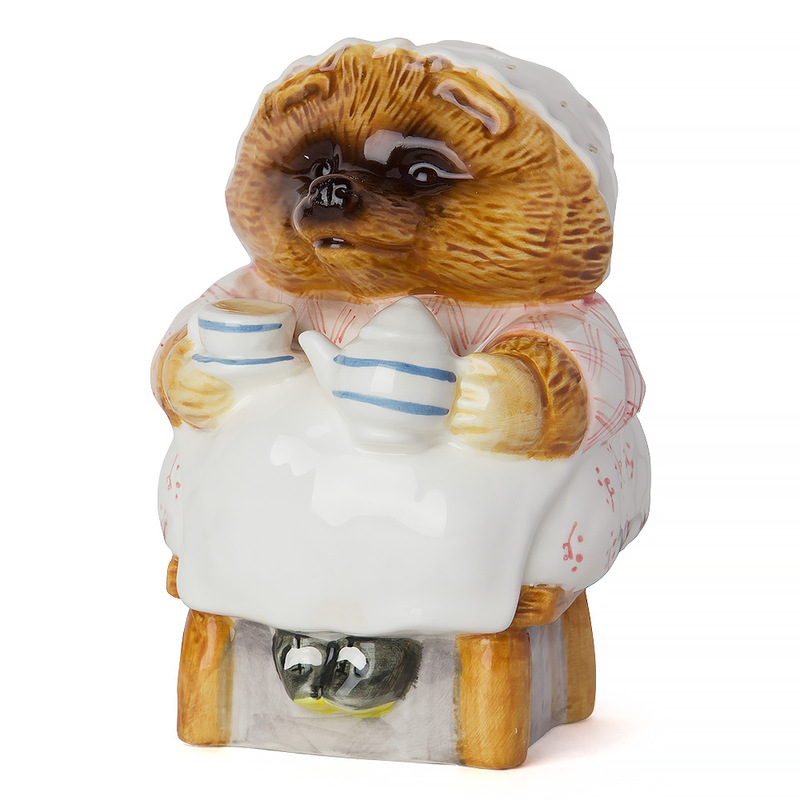 This delightful money bank is crafted from ceramic and is beautifully painted, with intricate details - including the little teapot and teacup she holds in her paws. Not only is it a precious memento that your children can treasure through to adulthood, but it will also teach them the value of money, as well as the importance of saving. There is a coin slot on the top for easy filling, while the convenient rubber plug on the base of Mrs Tiggy Winkle allows your child access to their coins. Bring the magic of the English countryside into your home, and celebrate Beatrix’s collection of wonderful characters. Convenient coin slot on the top of the money bank. Rubber stopper in base for retrieving money. Presented in a Beatrix Potter gift box. Dimensions: 11cm (w) x 15.5cm (h).